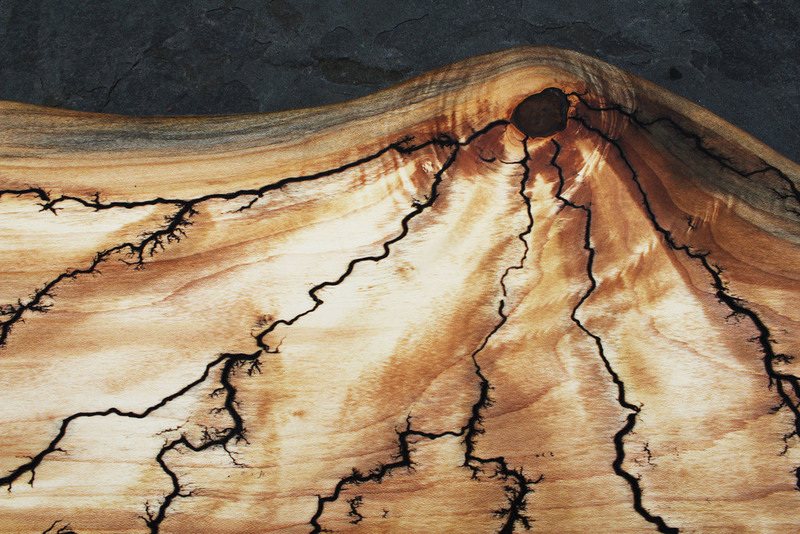 The surface of this solid Black Walnut board is decorated with our highly distinctive"Lightening Strike" burn created with high voltage electricity. This one of a kind serving platter is a piece of functional art that you can use to serve your favorite cheeses, sushi and appetizers. The Culinary Cleat Foot is an added built-in feature. Not only do the feet elevate the board, but our patented design allows you to hang this board for display or storage, by simply using the angle cut into the foot as a hook, and using the provided matching cleat and screw to secure to your wall. The board can now hang securely on your wall as an art piece, but can easily be removed and used. Functional art for your home that is perfect for cutting and serving!